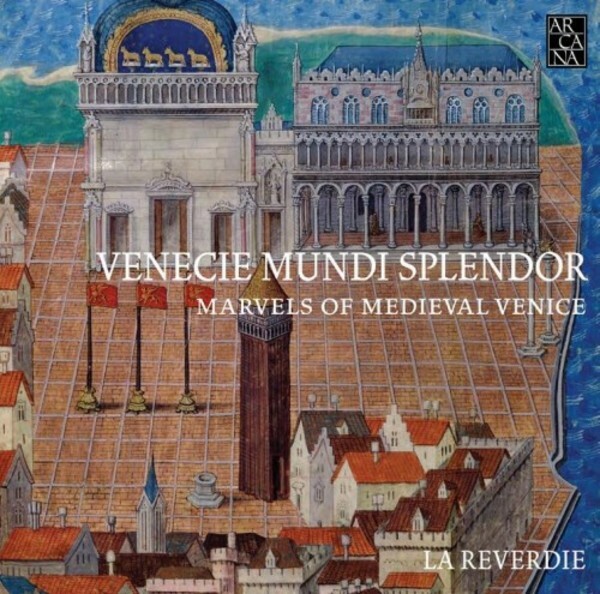 Recorded in the bright acoustics of the Cenacolo of San Giorgio Maggiore Monastery in Venice, the new recording project of La Reverdie brings together, for the first time, musical compositions written approximately between 1330 and 1430 in honour of the Venetian Doges or for the city of Venice itself. The title is borrowed from the text of one of the most famous motets composed by Johannes Ciconia, on the occasion of the submission of the Comune of Padua to the Republic of Venice, which occurred in 1406. The project includes the nine ceremonial motets that, according to the latest research, were composed to commemorate political, diplomatic or devotional events as well the election of the Doge. The composers include Marchetto da Padova, Francesco Landini, Johannes Ciconia, Antoinius Romanus, Cristoforo de Monte and Hugo Lantins. The choice to make use of a rich and varied ensemble, with ample participation of both singers and instrumentalists, is intended to properly render the extravagant and festive qualities of this repertoire, conceived for the most sumptuous state celebrations.